GRAND RAPIDS (Michigan) AUGUST 21, 2018—ArtPrize, the independently organized international art competition recognized as one of the world’s largest public art events, today announced $165,000 in total grants to 63 artists around the world. This funding will assist the winning artists in realizing their ambitious projects, and competing for a combination of public vote and juried awards totaling $500,000, at ArtPrize 10 this fall. The event is slated to return to Grand Rapids, Michigan from September 19-October 7, 2018. Returning for a third year is the ArtPrize Featured Public Projects program, awarding grants to five artists and collaboratives from around the country to install large-scale public art projects at prominent outdoor spaces within the ArtPrize district—Calder Plaza, Ah-Nab-Awen Park, Gillett Bridge and the Grand Rapids Art Museum. Funding support for the Featured Public Projects program comes from Downtown Grand Rapids Inc., the Efroymson Family Fund and the Frey Foundation. 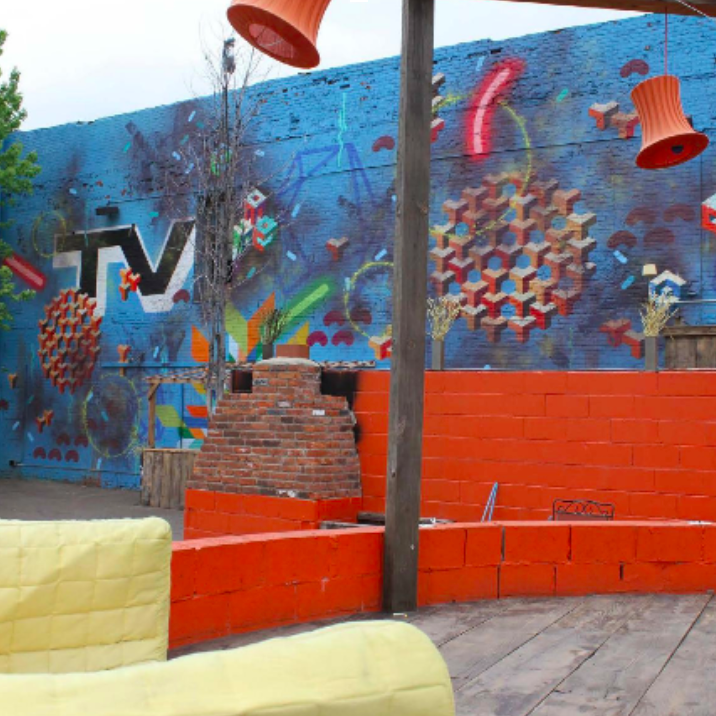 Back for a second year is ArtPrize Murals, which awarded three artists a $1,000 honorarium and a $500 stipend for materials to create a work of art during the 10th annual event. 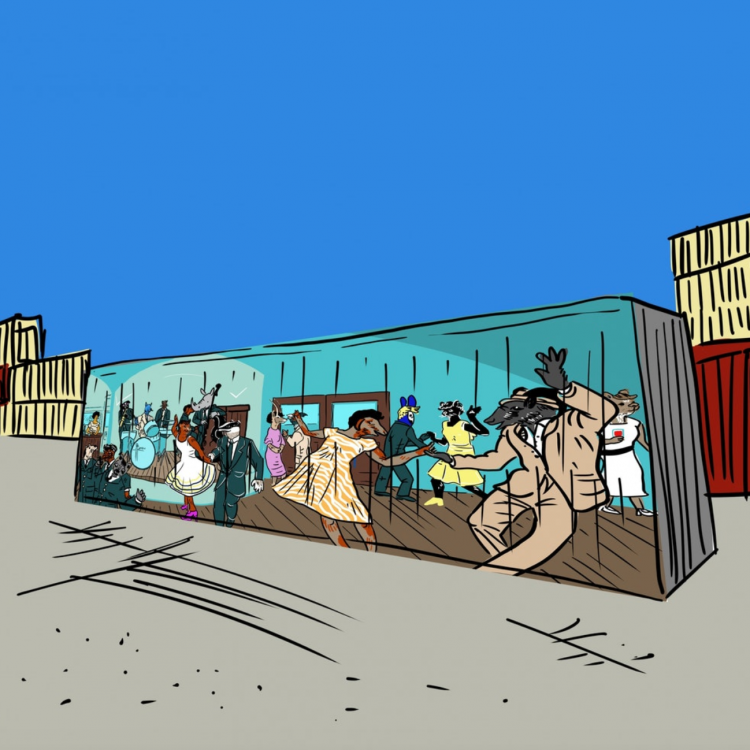 These artists will apply their murals to shipping containers, creating temporary venues at sites throughout downtown Grand Rapids. ArtPrize issued an open call in February, accepting project ideas from artists around the world. Submissions were vetted by the ArtPrize Exhibitions team then reviewed by the ArtPrize Arts Advisory Council who ultimately selected one project for each space—awarding a total of $90,000 in grants to nine artists and collaboratives. 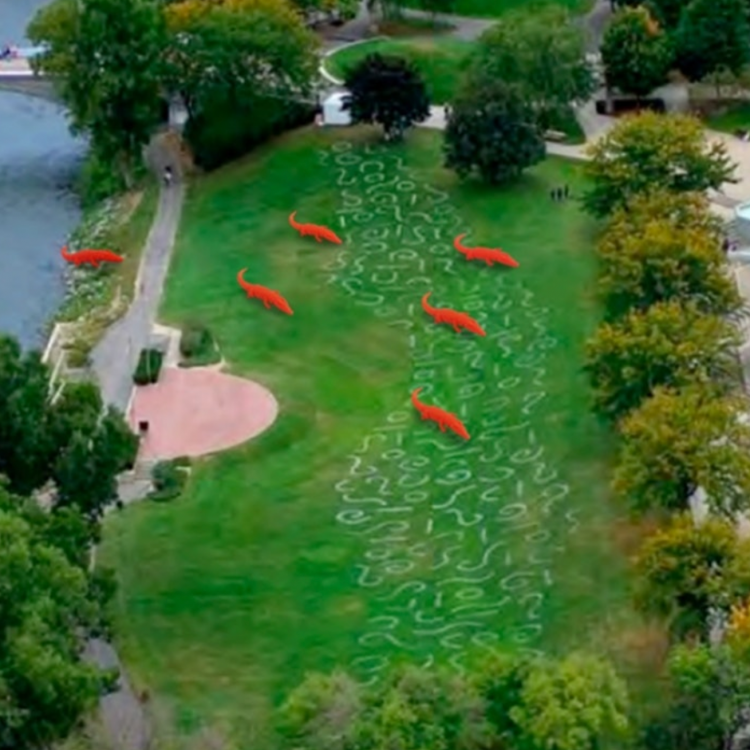 Six giant red crocodiles will emerge from the Grand River at Ah-Nab-Awen Park, appearing to crawl across the grass. ArtPrize visitors will invited to climb onto the crocodiles via metal platforms over the legs. 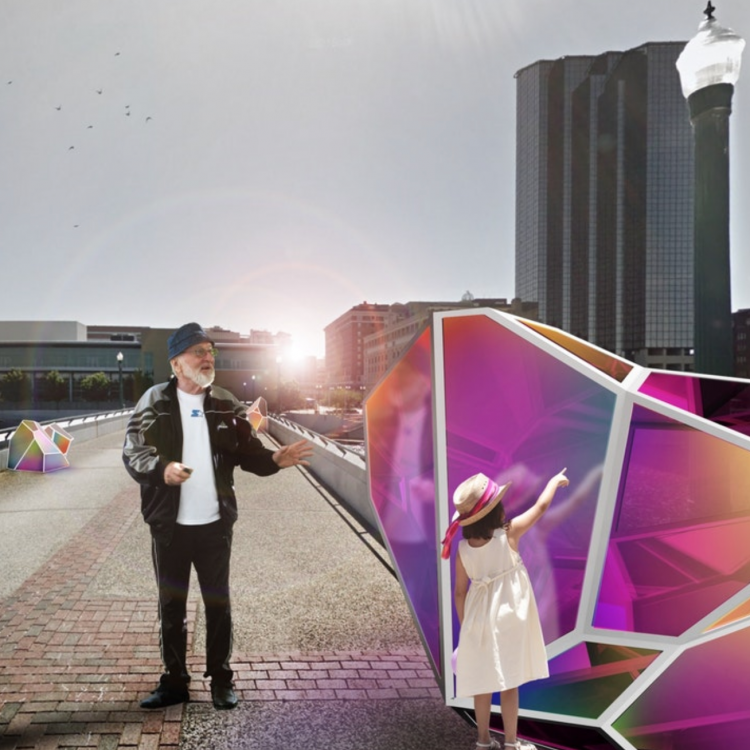 Larger-than-life, colorful crystals placed across the Gillett Bridge will use sight, sound and touch to bring people together—transforming the walkway into a community gathering point. The crystals will reflect the surrounding water and nature, creating beautiful photographic moments. 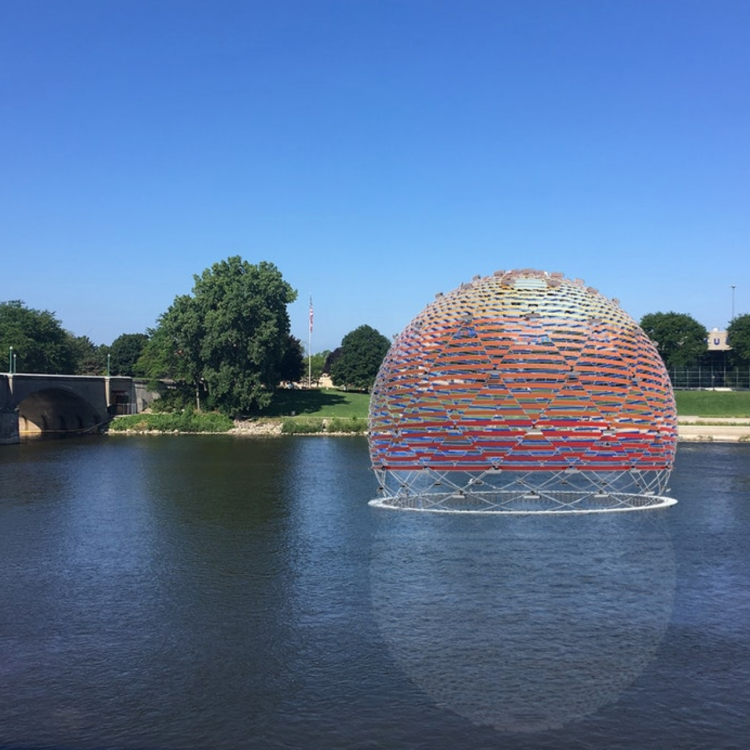 A 24-foot diameter buoyant orb, constructed with brightly colored defective and discarded seatbelts, will float in the Grand River near Gillett Bridge on 128 two-liter soda bottles. The dome will emerge from the water as an accumulation of the city’s manufacturing legacy and a by-product of it. 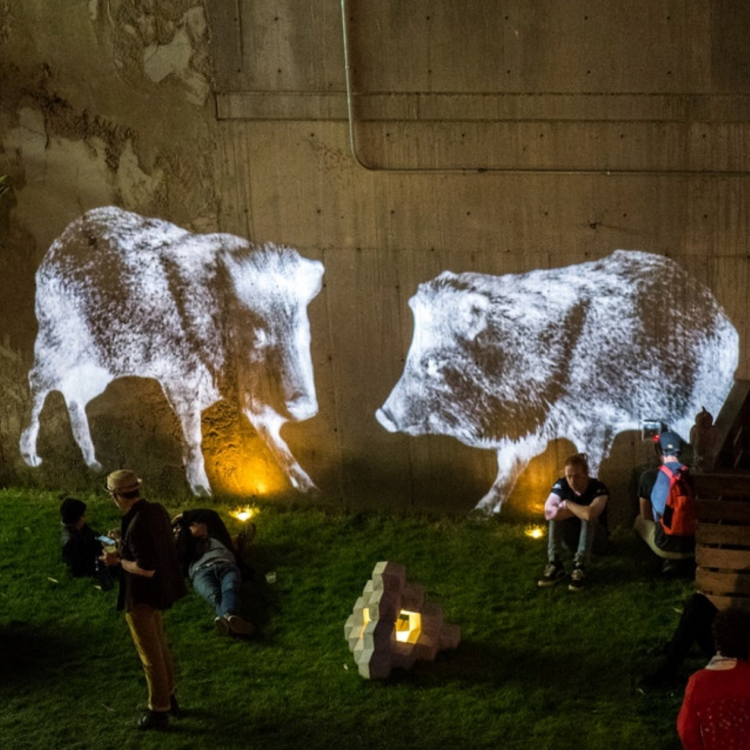 Indoor and outdoor video projections at the Grand Rapids Art Museum will reimagine traditional wildlife in a contemporary format—through technology in an urban space with human inhabitants. The projections will generate synthetic animals, native to the geographical location, that are completely decontextualized. This installation inverts the traditional challenge artists face at Calder Plaza. Instead of creating a work that competes on presence with La Grande Vitesse, Prado’s work reflects and amplifies the landscape it occupies. 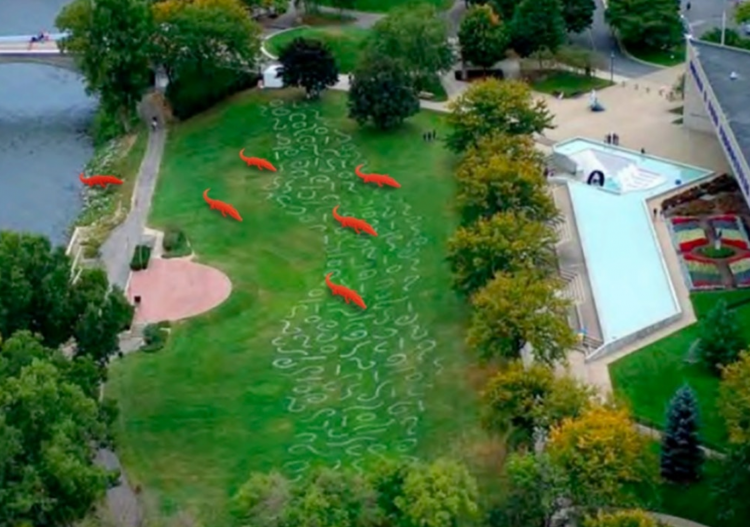 The series of convex mirrors will be installed in a stream formation, reflecting not only Calder’s sculpture, but also referencing Grand Rapids’ namesake river. Kasztelan will create over-the-top vibrant psychedelic experience at Gillett Bridge, drawing inspiration from techno music and candy raver fashion. Color, texture and pattern will blend together as a means of self-expression. Lacey will employ geometric elements paired with a methodically mapped out composition and regionally relevant patterns and iconography to represent human beings’ relationship with their environment. 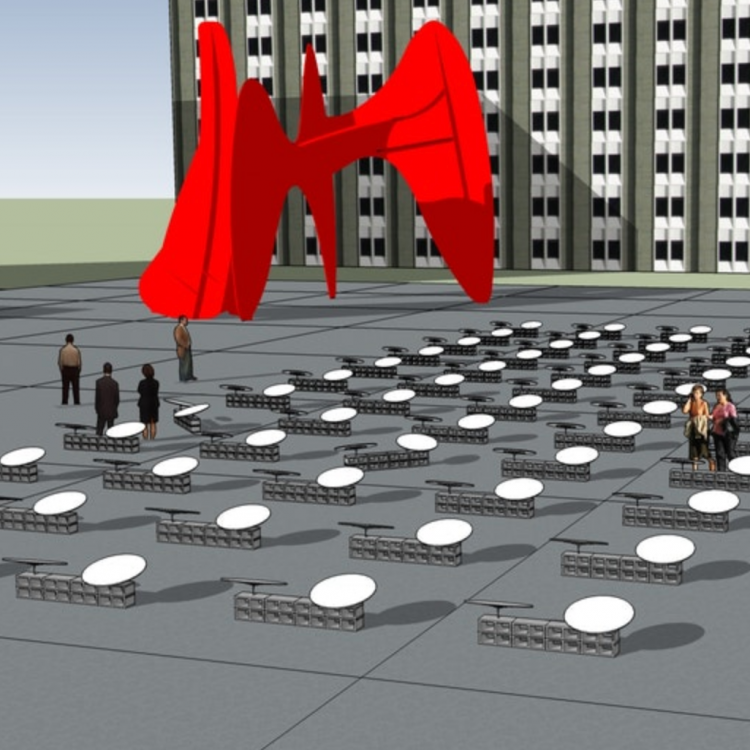 The mural at Calder Plaza will reference the long-standing history of design in West Michigan. On the Blue Bridge, Hershberger will depict the former Club Indigo, a Grand Rapids establishment to once feature great musicians of the Jazz and Blues era—creating scenes of both the building’s interior and exterior featuring his whimsical animal characters. 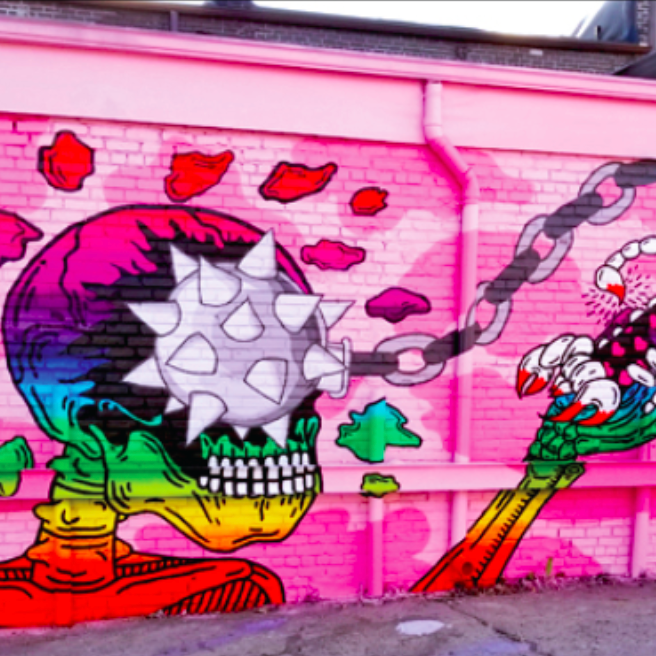 This mural is presented by X-Rite Pantone. For the fifth consecutive year, registered ArtPrize artists sought to be awarded one of 25 Artist Seed Grants presented by the Frey Foundation, valued at $2,000 each. Members of the ArtPrize Art Advisory Council reviewed the applications, seeking ambitious entries from artists who demonstrated both financial need and artistic merit. These grants join $25,000 in ArtPrize Pitch Night grants, awarded to artists in five cities across the U.S. this spring, and include the $15,000 SXSW ArtPrize Artist Challenge grant—all part of a growing ArtPrize granting program, awarding over $300,000 in 2018 to artists, venues and educators, bringing surprising, challenging work to the tenth annual event and encouraging the possibility of exploration and discovery. All grant-winning artists will be in the running for the $500,000 in public vote and juried prizes to be awarded at ArtPrize 10. These grantees—hailing from 41 U.S. states and 40 countries—join the over 1,270 artist entries that will be on display across the city for ArtPrize 10. More than 165 venues across the three-square mile event district selected entries from among 2,043 possible artworks, more than the number of registered artworks in both 2017 and 2016. A lower connected entries count suggests venues curated more focused exhibitions for ArtPrize 10. ArtPrize will return to Grand Rapids, Michigan from September 19 to October 7, 2018. Find a full list of artist entries at artprize.org/entries.